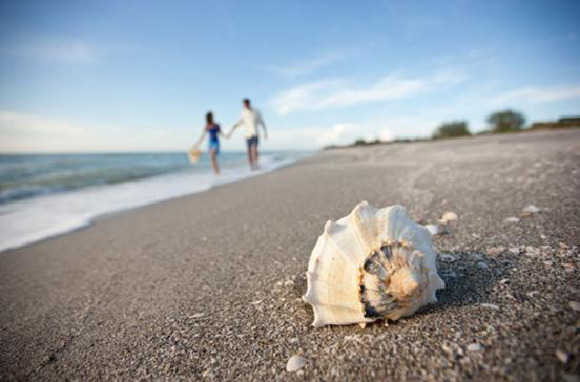 There’s something about salty sea air—could it be those negative ions?—that puts us in the mood for love. Whether it’s cuddling in front of a roaring fire on some windswept stretch of rocky coastline or digging our toes into warm, white sand, there’s no doubt that the ocean can be a powerful aphrodisiac. From the rugged Pacific Northwest to sophisticated California, from cultured New England to laid-back Florida, we’ve rounded up some of our favorite coastal destinations perfect for getting your romance on. 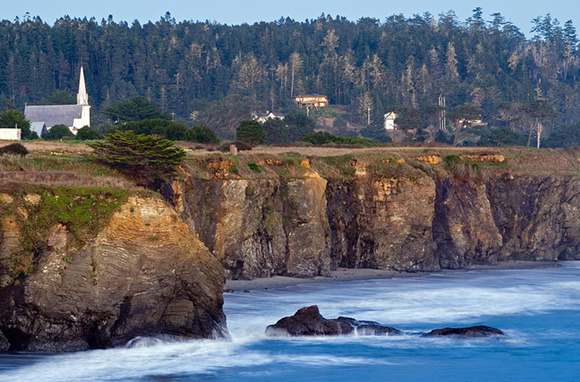 Dreamy (and often foggy) Mendocino feels like a village that time forgot. Neatly restored Victorian and saltbox-style homes and inns, originally built by New Englanders who settled here, sit atop this dramatic headland that juts into the chilly Pacific Ocean. The permanent population hardly numbers 900, but this secluded enclave (about four hours north of San Francisco) is known for its artists, theater company, and, increasingly, wines. Make a reservation for dinner at the famed Cafe Beaujolais, then spend the day wandering through art galleries and strolling the streets to gaze at gardens that stay in bloom most of the year, thanks to the cool but gentle coastal mists. Where to Stay: The centrally located MacCallum House offers rooms in the Main House, built in 1882, but the spacious rooms and studios in The Barn feature large stone fireplaces and Jacuzzi tubs—several with ocean views. A few miles south of town, the Glendeven Inn is an eight-acre coastal "luxury farmstead." Guest rooms feature wood-burning stoves and ocean views and come with three-course breakfasts served in-room. Outside, there's a massage cabin, a wine barn serving only Mendocino vintages, and a pasture of llamas. Just getting to San Juan Island is part of the fun, especially arriving by floatplane, with stunning views of the islands spread out below. Once on terra firma, rent a moped or bright-red scootcar to explore the island. There's whale watching at Lime Kiln State Park, kayaking out of Roche or Friday harbors, and strolling the driftwood-strewn beaches. Then stop off at San Juan Vineyards, the only producing vineyard and winery on the island, with its tasting room in an 1895 schoolhouse, or the San Juan Island Distillery for a gin tasting. For dinner, head to the cabin in the woods that houses the acclaimed Duck Soup Inn to dine on rustic Northwest cuisine made from locally foraged and farmed goods. For a romantic ocean view, The Place is the only waterfront restaurant in Friday Harbor and a favorite of locals. 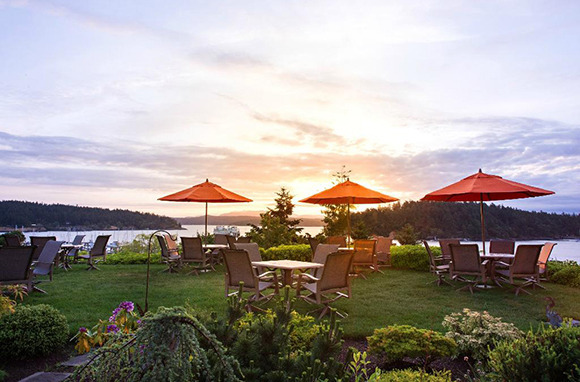 Where to Stay: Each of the 23 contemporary rooms at Friday Harbor House, on a bluff overlooking the harbor, offer different views of the marina, San Juan Channel, and even Mt. Constitution on Orcas Island—and they're appointed with gas fireplaces and oversized jetted tubs. At the Highland Inn, high atop a bluff overlooking Haro Strait, you're assured privacy, as there are only two suites, each with a wood-burning fireplace, a jetted tub for two, and a steam shower. Sunsets are spectator sports on Captiva Island, when, like clockwork, locals drag their folding chairs down to the fine-sand beaches to sip wine and nibble snacks as Apollo slips below the horizon. A "Floribbean" vibe has permeated every corner of this Gulf Coast spit of sand (barely five miles long and a half-mile wide), from its bright-white beaches—some of the best anywhere for shell collecting—to the relaxed shops and restaurants in the village. If you have an itch to get off the island for a few hours, grab a water taxi and head to nearby Sanibel Island or Cabbage Key. Or book a day cruise with New Moon Sailing, with stops at Cayo Costa, North Captiva, and Boca Grande. But make sure you're back in time for one of those storied sunsets. Where to Stay: 'Tween Waters Inn gets its name from its location—on the narrow part of the island, between the Gulf and Pine Island Sound, meaning you can catch both sunset and sunrise. For privacy, opt for one of the Seaside Cottages. If you want to break out of the resort mold, Captiva Island Inn's cute little cottages are a fun-and-funky bit of local color. This romantic city was once the flash point of the Civil War, nearly 150 years ago. But these days, Charleston is for lovers, not fighters, and there's plenty to love about this charming, quirky Southern city. In town, the Battery Park seawall, which protects gorgeous old mansions from the harbor, is only one of a number of iconic landscapes. Toward downtown, the historic buildings along upper King Street are now given over to boutiques and fabulous restaurants. Farther afield, visit one of the many plantations (Middleton Place lays claim to the oldest gardens in the U.S.), jog or cycle over the Arthur Ravenel Jr. Bridge, or head out to Folly Beach for some kayaking, surfing, or beach bumming. 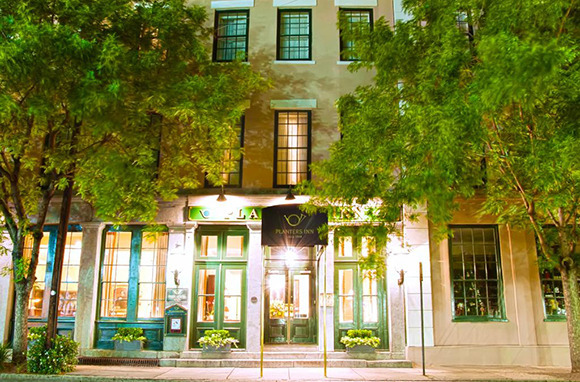 Where to Stay: The Planters Inn occupies a restored 1844 mansion in the heart of Charleston's historic district. Its Peninsula Grill makes a 12-layer, 12-pound coconut cake so popular that they now ship it (for a sweet $100). Just around the corner, relax and refresh in the stately Commodore room at Jasmine House Inn (built in 1843), with its fireplace and Jacuzzi tub. 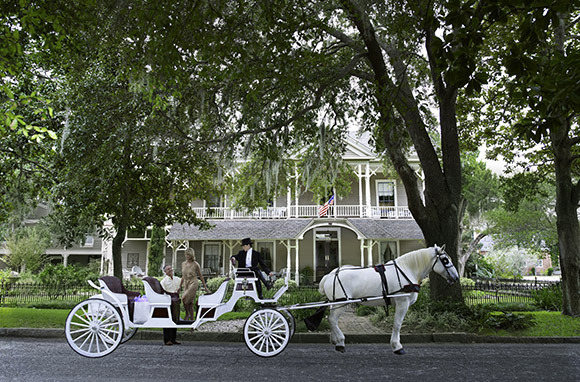 With moss-covered oaks lining the streets and palm trees dotting the beaches, St. Simons Island is where antebellum South meets island time. This barrier island—once favored as a retreat by the Carnegies, Vanderbilts, and Rockefellers—is awash in history. One of the best ways to discover it is by bicycle on more than 30 miles of bike paths that circle the island. Or take a trolley tour, then climb 129 steps to the top of the 1872 lighthouse and take in views of the mainland, the south end of the island, and nearby Jekyll Island. Take a kayak tour of the island's extensive marshes, or simply relax on East Beach before a fresh seafood dinner at Halyards. Where to Stay: The luxury resort The King and Prince opened as a dance club in 1935, and its Mediterranean flavor has been preserved. The property features five ocean-view swimming pools, and the popular cabana rooms include seaside patios. Deluxe rooms at the historic Village Inn and Pub feature one or even two wrought-iron balconies overlooking the peaceful pool area. Cannon Beach, hugging a stretch of rugged Oregon coast that continues uninterrupted for miles, is for all those romantics who profess to enjoy "long walks on the beach." 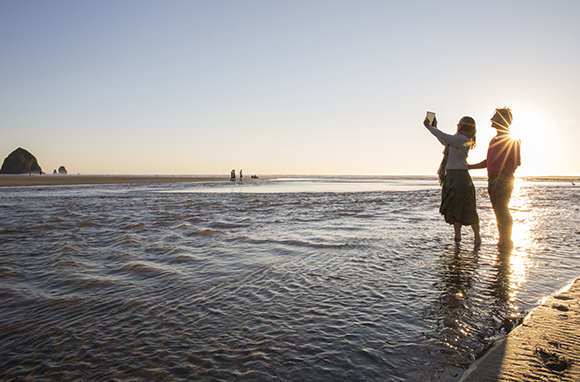 When the tide is low, beachcombers flock to the tide pools at the foot of 235-foot Haystack Rock, the crown jewel of the coastline's sea stacks. The quick drive to Ecola State Park is popular for its iconic photo op at Ecola Viewpoint, where ocean, mountains, waves, and sea stacks converge in a single frame. In town, wander through the numerous galleries and shops before dinner at one of the hottest tickets in town: EVOO's cooking demonstration, which includes desert and wine pairings. Where to Stay: The Stephanie Inn sits atop a low bluff on the beach just a few miles south of town. 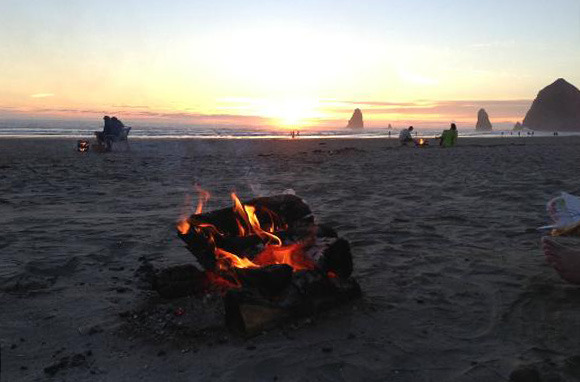 Take in the expansive beach and Haystack Rock views from the top-floor oceanfront suites, or book a beach package that includes s'mores supplies and a "fire butler" who'll build your bonfire. A little farther south, near Arch Cape, all of the midcentury-modern-influenced rooms at the boutique Ocean Point Inn have fireplaces and their own private entrances to the beach. This well-heeled enclave on the Southwest shore of Penobscot Bay could very well be the postcard picture of coastal Maine perfection. In summertime, the population triples with the influx of summer residents and tourists, and majestic windjammers—replicas of the old historic ships—ply the bay on leisurely excursions. An abundance of bike paths makes cycling an easy way to sightsee and get around; check out lovely Camden Harbor Park, adjacent to the library, designed by the Olmsted brothers (of Central Park renown). For a little more exertion, hike Camden Hills to the top of Mt. Battie for stunning views of the village and bay below. Then reward your efforts with wood-fired pizza at Seabright, overseen by a James Beard-nominated chef. Where to Stay: If snuggling up in front of a fireplace is your idea of romance, the Royal Dutch Suite at the modern and luxurious Camden Harbour Inn has three of them: one each in the living room, bedroom, and bathroom. The opulent Norumbega, once a chateau-style home overlooking the bay, has several terraces, and its two suites offer commanding views of the water below. When in Santa Barbara, tucked between the Pacific and the rugged Santa Ynez Mountains, it's not much of a stretch to imagine you're somewhere on the Riviera—even the supermarkets look like Mediterranean villas. Wine lovers can hit the local Urban Wine Trail in town or take a day trip to nearby Santa Ynez Valley for tastings at the wineries seen in the film Sideways. The main tourist and shopping action takes place on State Street (with ends at the beach at Stearns Wharf), but head over a block to the "Funk Zone," a former rundown industrial neighborhood that's been revitalized as a destination for art galleries, wine tastings, and hip eateries. 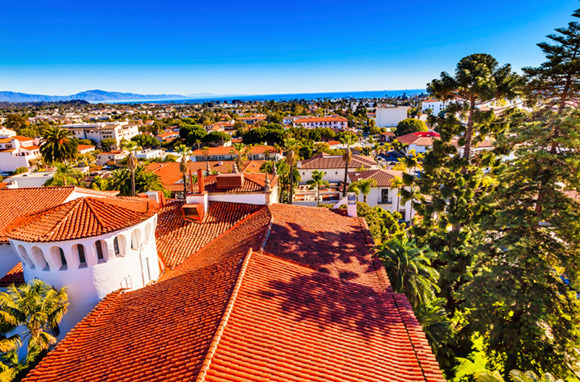 Where to Stay: The Four Seasons Resort The Biltmore is Santa Barbara's iconic hotel. Built in 1927, the resort sits across from beautiful Butterfly Beach, the site of its private Coral Casino Beach and Cabana Club Pool. The resort's 12 cottages are especially romantic, set among secluded paths that wind through lush lawns. Back toward the hills, the five-star Belmond Encanto offers sprawling luxury among the oaks and camellias, with suites offering terraces, patios, and fireplaces and an infinity pool that looks out to the ocean beyond. 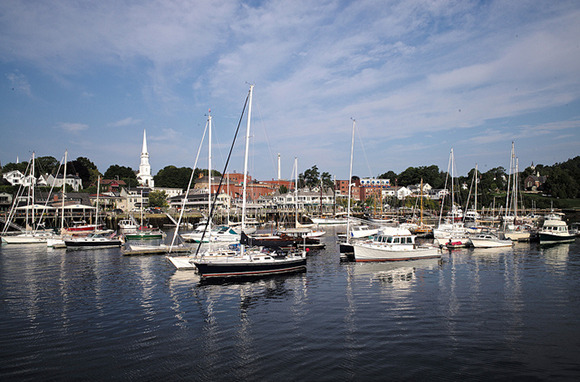 Marblehead is yet another New England coastal town chock-full of Colonial history. It claims more than 200 homes built before the Revolutionary War and is considered the birthplace of the U.S. Navy. The colorfully painted homes of its Old Town neighborhood, with twisty streets leading down to the harbor, just might be one of the best representations remaining of pre-Revolutionary times. The old buildings on and around Washington Street now house all manner of shops. If you'd prefer more active pursuits, rent a paddleboard or kayak to explore Lady's Cove and Salem Sound. Come dinnertime, head to Jack-Tar, a local favorite, for lobster mac 'n' cheese and grilled day-boat scallops. Where to Stay: The Jacuzzi Rooms at Harbor Light Inn come with working fireplaces, and some have private sundecks. 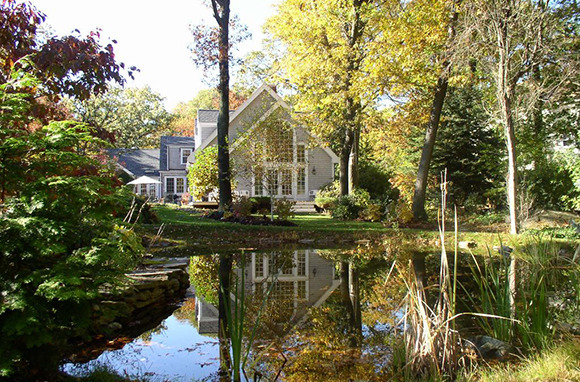 At the Fox Pond Bed and Breakfast, the Canton Suite includes a double Jacuzzi tub, a marble shower, and an entertainment room with garden views. On this skinny 13-mile-long island of white-sand beaches, relaxation means anything from hanging poolside at a south-end resort to retail therapy in the boutiques lining the historic streets of Fernandina, farther north. If the beach beckons, you can book a horseback ride along miles of sand atop a sturdy Tennessee Walking Horse. 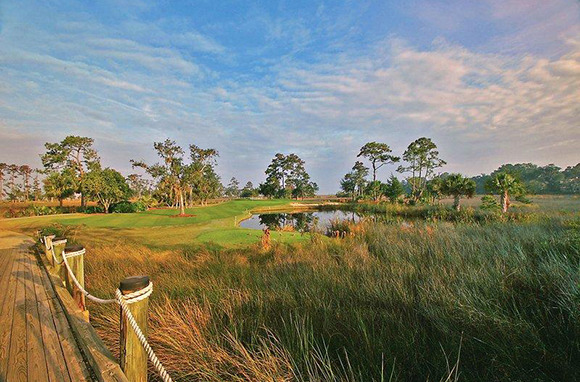 If a golf cart is more your speed, there are roughly 117 holes on the island, including several award-winning courses. Slip back in time on a horse-drawn carriage tour as you hear about Fernandina's storied past (pirates and brothels and bars, oh my!). Then top off your evening with a candlelight dinner at Le Clos, housed in a 1906 cottage. Where to Stay: The oceanfront suites at The Ritz-Carlton, Amelia Island, just a few miles from Fernandina Beach, boast spacious balconies with panoramic Atlantic views. In the property's comfy courtyard, a fire pit looks out to the ocean beyond. In town, the Fairbanks House occupies an 8,000-square-foot 1885 Italianate villa in the historic district. The Emerald Suite includes a living room area and balcony overlooking the gardens.